On May 30, 1431, Joan of Arc (Jeanne d’Arc) was put to death by being burned alive at the stake for the alleged crime of heresy. Probably the most famous person to be burned to death, Saint Joan joins 4 other famous people on this list that died in this horrible fashion. What other famous burn victims would you include on the list? Only 19 when she was executed, Joan had fought for the French against the English during the Hundred Years War, gaining fame and a mythical legendary status. For her efforts, she was later canonized by the Catholic Church as a Saint, but in 1431 the vengeful English wanted her dead. For political reasons, this French patriot and heroine was tried by English clerics and given the opportunity to recant her claims about divine guidance in her military efforts. Had she recanted, she would have been spared, but her belief was strong and she relied on her faith, which of course got her burned at the stake. In 1456 a new trial was afforded the long dead Joan, at which she was found innocent and declared a martyr. 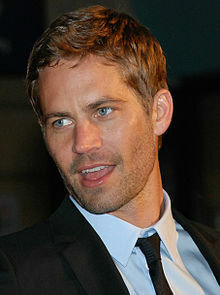 Famous 40 year old actor best known for his acting in The Fast and the Furious movie series, ironically died in an accident involving a speeding Porsche driven by a friend, 38 year old Roger Rodas in 2013. The sports car was determined to have been traveling between 80 and 93 miles an hour in a 45 mph zone when it hit 2 trees and a lamp post, bursting into flames. Rodas was killed by the impact, but the injured Walker was still alive and unable to get out of the burning car, dying of his burns. Walker was well liked by his fellow actors and had a reputation as a humanitarian and all around good guy. He is missed. Famous for her role in Gone With The Wind as “Prissy,” this African American actress was 84 years old in 1995 and was trying to light a kerosene heater in her Augusta, Georgia apartment when the apartment caught fire. McQueen managed to make it outside to the sidewalk, but collapsed and died, burned over 70% of her body. 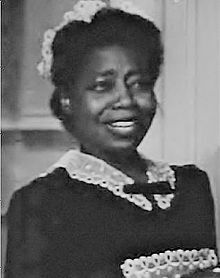 Anyone who sees the film, Gone With the Wind will remember Butterfly McQueen/Prissy. Famous actor and father of actor/singer David Cassidy (if you were around in the 1970’s, you know these people) died in 1976 in a fire caused by him smoking in bed, after drinking enough to be legally drunk. Cassidy was married to actress Shirley Jones who played the mom on the television show, The Partridge Family, in which son David Cassidy also starred. Cassidy was burned so completely he had to be identified by dental records. Cassidy had been nominated for an Emmy Award twice in his career. 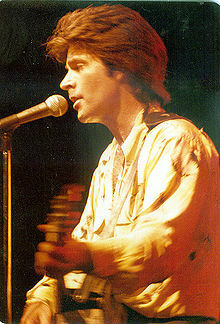 When actor and rock singer Nelson died in 1985, he ranked #2 behind Elvis Presley in having the most records sold (though Michael Jackson was closing fast). Nelson was in a private DC-3 twin engine propeller driven airplane built in 1944 with his band when a fire on board caused a crash landing killing all 9 passengers, though the pilot and co-pilot lived. Nelson and the others died of smoke inhalation and “thermal burns” (according to his death certificate) grouped together at the cockpit door, apparently trying to get away from the fire. Rumors that Nelson and his crew were free basing cocaine and caused the fire have been debunked. Hobbins, Daniel. The Trial of Joan of Arc. Harvard University Press, 2007. Previous ArticleMay 29, 1733: Did You Know There was Slavery in Canada? Next Article May 30, 2017: Movie Review of Wonder Woman!